Supports gut health and helps maintain a healthy digestive system. 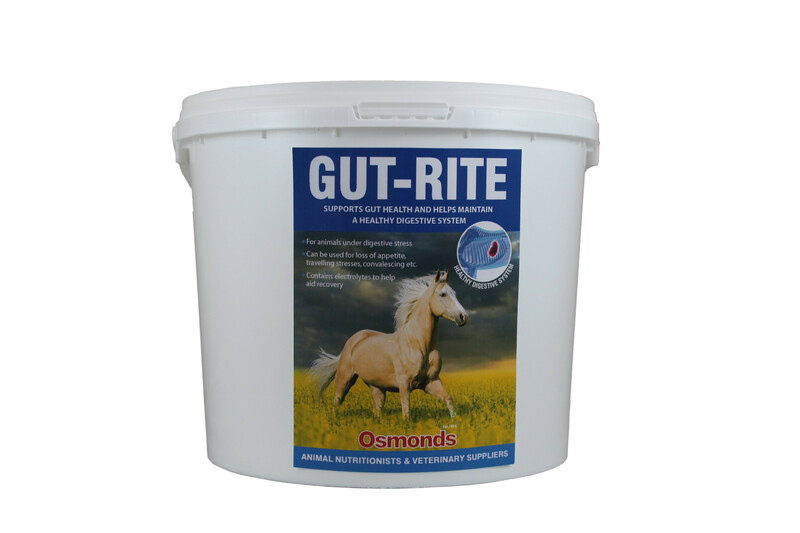 OSMONDS EQUINE GUT-RITE - Is an extremely effective all natural Bio-Probiotic product to help maintain a healthy digestive system. 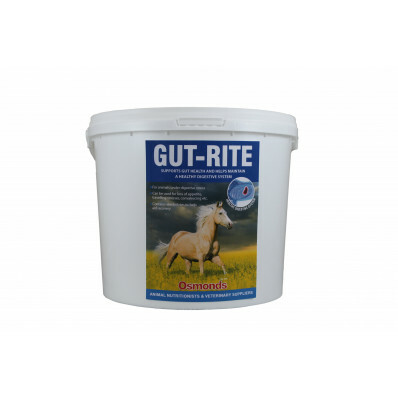 Gut-Rite contains Vetoxan® to help maintain a healthy digestive tract and Nutrimin® to remove any build up of toxins from the system and to slow down the passage of feed through the gut. Can be used for loss of appetite, travelling stresses, convalescing etc. Vetoxan®: To help improve hindgut bacteria and assist in eliminating digestive upsets. Diamond V Yeast: Supports robust digestive health by balancing gut microbiota and the immune system while optimizing gut morphology. Its prebiotic activity helps nurture hindgut microbial populations, while the antioxidant activity helps improve immune function. Sodium Bicarbonate: Traditionally used as an antacid and cleanser. Electrolyte plus added vitamins & minerals: to help aid recovery. Feed 1g per kg bodyweight for 2-3 days blended onto feed or mixed with 1/2 litre of clean warm water.